Picture perfect. 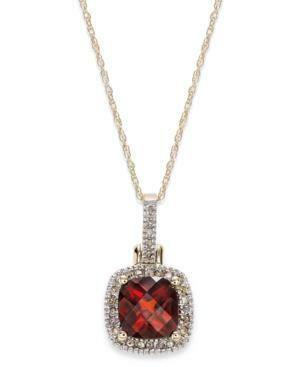 The polished pendant showcases an antique-cut garnet (1-3/4 ct. t.w.) surrounded by sparkling diamond accents. Set in 10k gold. Approximate length: 18 inches. Approximate drop: 3/4 inch.